Naloxone is a drug that many Americans are (unfortunately) familiar with, due to its opioid overdose-death staying power. 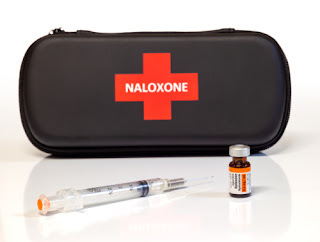 Administering naloxone – often sold under the brand name Narcan or EVZIO – in a timely manner can reverse the deadly symptoms of opiate toxicity. In recent years, law enforcement and emergency first-response units began to carry easy-to-use naloxone kits. Today, it would be difficult to find a police officer or EMT who doesn't have the overdose antidote on hand. What’s more, many states have made it much easier for addicts and their friends or family members to acquire the drug. In many cases, without a prescription. It may be little surprise to some people to learn that naloxone’s high demand has prompted some manufacturers to increase the price significantly. The price hikes are astronomical. A Senate subcommittee reports that Richmond, Virginia-based pharmaceutical company Kaleo raised the cost of its auto-injectable overdose-reversal drug EVZIO from $575 to $4,100, according to USA Today. "Kaleo's more than 600 percent price increase of EVZIO not only exploits a country in the middle of an opioid crisis, but also American taxpayers who fund government-run health care programs designed to be a safety net for our country’s elderly and most vulnerable," the subcommittee reported. While there are generic, cheaper versions of naloxone on the market, EVZIO is likely more straightforward for non-specialists. Even still, the average price for Narcan is $130, which for most people isn’t insignificant. Life-saving drugs like naloxone must be affordable or free for disadvantaged Americans. If people cannot acquire or afford naloxone, avoidable deaths are the result. It’s worth remembering that the epidemic we face takes more lives each year than automobile crashes. The news of Kaleo’s price gouging come to us following the release of a startling Centers for Disease Control and Prevention (CDC) report. An analysis of mortality data from the National Vital Statistics System shows more than 70,237 Americans died from a drug overdose last year. There were higher overdose death rates among people aged 25–34, 35–44, and 45–54 than those aged 15–24, 55–64, and 65 and over. What’s more, the age-adjusted rate of drug overdose deaths involving synthetic opioids rose by 45% from 2016 to 2017. As synthetic opioids like fentanyl and carfentanil become more and more prevalent, there is a dire need for affordable overdose antidotes. Hopefully, the government will take steps to cap what seems like ever-increasing naloxone prices. If you are battling opioid use disorder, please know that we understand your struggle, and can help you take the first step toward lasting recovery. Please contact Hope By The Sea to learn more about our accredited addiction treatment center. The miracle of recovery can be yours too!